LAS VEGAS, NEVADA — Apple notoriously spurns the Consumer Electronics show every year, but that doesn’t stop manufacturers from touting all sorts of gear designed to work with Apple’s devices. 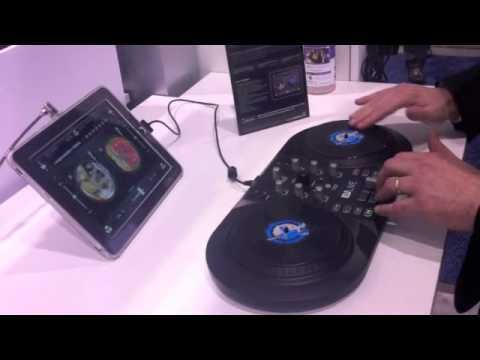 Take this Numark iDJ Live, for instance — a hardare peripheral for the iPad with two turntables and a mixer, which controls a DJ app on the iPad. Numark has used Apple’s products as the brains for a DJ set-up before — Numark’s iDJ and iDJ2 — both of which let you access and DJ the songs on a docked iPod. But the iPad’s large screen and ability to run apps rather than merely acting as a repository for music make the concept truly viable. Numark iDJ, is the first mixing station that enables you to play two tracks simultaneously from the same iPod.